African Spring or African Slaughter? As undefined “rebels” unleash their power in Libya, thanks to U.S. and NATO intervention, the besieged Nuba people of central Sudan remain without any similar support. The architects of the “Arab Spring,” which may prove to be seven times more wicked than the regimes it supplants in Egypt and Libya, have been supported by both the bully pulpit of President Obama and the firepower of the West. But there seems to be no similar responsibility to protect Sudan’s black African Nuba people from their genocidal government, or from the Iranian Revolutionary Guard troops that reportedly have now joined in the attack on this marginalized people group. The problem with moral equivalency is that those who are deemed morally equivalent don’t behave as if they are. It’s useless, not to say absurd, to tell the SPLA-North to end the violence and allow humanitarian access, when the violence originates in Khartoum. Khartoum’s daily sorties bomb the Nuba Mountains, its armed forces (SAF) and Arab Janjaweed militia called the Popular Defense Force (PDF) slaughter people in their homes, and it deliberately blocks aid to complete the starvation of the Nuba that it began in the 1990’s during the North/South war. The Obama Administration insists that there is “not enough information” about Southern Kordofan (the Arab name for the region) to consider action. But although Khartoum has tried to shut off access to the region, it cannot succeed the way it did in last war, in which some 50 percent of all the Nuba died of war-related causes. In the current campaign of extermination, activists are on the case and passions are running high. There is a great deal of information available from the experience of eye-witnesses, comprehensive media reports, and testimony from an August 4, 2011 congressional hearing. All information confirms the desperate situation in the region of central Sudan that falls just outside the borders of the new Promised Land of the Republic of South Sudan. Although Nuba fought alongside Southerners in the North/South war, now while their Southern brothers and sisters celebrate freedom from Islamization and Arabization in Africa’s 54th nation, the Nuba are the targets of an extermination campaign that has already left hundreds of thousands displaced and untold thousands killed (although the identification by the Satellite Sentinel Project of mass graves is beginning to tell the tale of the number of the slaughtered). Under the leadership of Commander Abdelaziz Adam Alhilu the SPLA-North has been surprisingly successful, since the Sudanese government has air power and the SPLA-North has none. The SPLA-North, sometimes assisted by other marginalized people group forces such as the Darfurians, has caused the NCP humiliating military ground defeats. 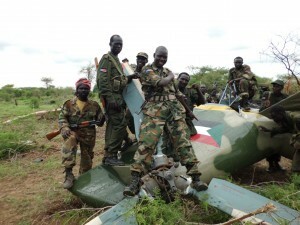 In such battles, SAF troops have fled the area, abandoning tanks, land cruisers, and weapons to the SPLA. 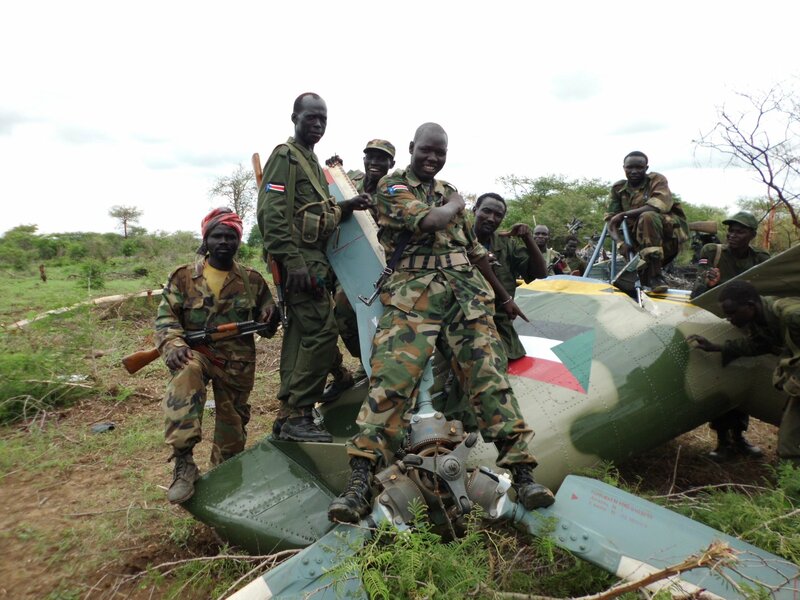 In other cases, SAF troops have actually defected to the SPLA. Khartoum has publicly threatened that if the SPLA does not return the tanks, vehicles, and weapons they will use chemical weapons on the people of the Nuba Mountains. Since even with superior weapons, the NCP has been unable to defeat the SPLA-North, it appear that they have called in reinforcements. SPLA-North intelligence sources reported on Wednesday, July 27, the arrival of 200 Iranian Revolutionary Guard officers, accompanied by 10 advanced tanks at the Kassala airport in Eastern Sudan. Kassala was also the location of the arrival of Al Shabaab Somali jihadists heading to South Kordofan/Nuba Mountains two weeks before. Eastern Sudan’s indigenous Beja people have often warned that the NCP uses Eastern Sudan as a launching area for terrorist operations. On August 11, 2011, the SPLA-North intelligence services reported that four Iranian jet fighters, listed as STAR 33, STAR 66, 55 NC, and 49 NSTAR, and “loaded with poison gas,” had arrived at El Obeid airport in North Kordofan. The Iranians were joining the SAF to attack the towns of Salara, Krongo, Fama, Tais, Hagar Almak, Chat Dammam, and Chat Alsifia, and to target Commander Abdelaziz Adam Alhilu. The report also said that Khartoum planned to force the recruitment of Nuba living in Khartoum as militias to fight against their own people in the Nuba Mountains, disseminate false information about the Sudan People’s Liberation Movement (SPLM)/Northern Sector, and initiate ceasefires to delay any action against them and weaken the resolve of the international community. It remains to be seen if the world community will be snookered by Khartoum or not. The Obama administration seems as unable or unwilling to see the regime’s evil nature as they are to see that supporting Sudan’s marginalized people in their efforts to transform the country (far less effort than we provided to nebulous Libyan rebels) would be a great strike against jihad terrorism and would help the cause of freedom all over the world. Because the Nuba and Sudan’s other marginalized and oppressed people groups, as well as many brave young Arab Sudanese around the capital, truly desire freedom and secular democracy, regime change in Sudan might actually bring about a better situation for all Sudanese. Most of Sudan’s “rebels” have more in common with America and Israel than they do Egypt and Libya. They are men like Commander Abdelaziz Adam Alhilu and Commander Yasir Arman, who says of his dream of a new Sudan, “Not the Sudan of today, a Sudan of misery and wars and human rights violations,” but one “which respects human rights, in which every citizen feels he belongs to that country.” And unlike the rebels of Libya, these freedom fighters would ensure that the constitution of a new Sudan is Shariah-free. Faith J. H. McDonnell directs The Institute on Religion and Democracy’s Religious Liberty Program and Church Alliance for a New Sudan, and is the author of Girl Soldier: A Story of Hope for Northern Uganda’s Children (Chosen Books, 2007).